Length: 172mm. Image shows assembled kit. ★With both wheels and a propeller screw for propulsion, this vehicle is at home on land or the water! 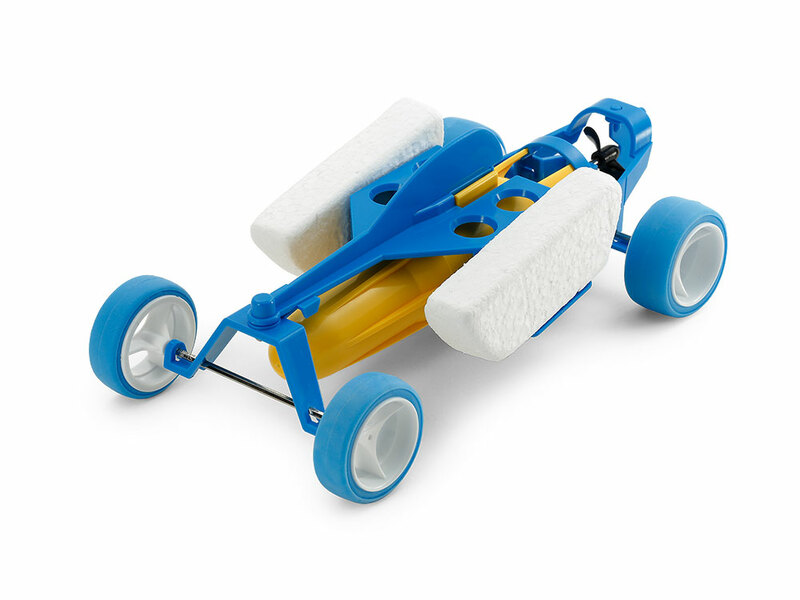 ★Features a summery color scheme with blue frame component, yellow submarine motor, and white floats. ★Change the orientation of the rudder to make the amphibious vehicle turn in the water. ★Requires one R6/AA/UM3 battery (sold separately).